A cat helps a dog to escape the kitchen by opening the door. A cat is playing with the snow. Enzo the tiger is sleeping on the couch. Normal. A boxer dog and a kitten meet for the first time. A curious cat scared by a talking christmas tree. 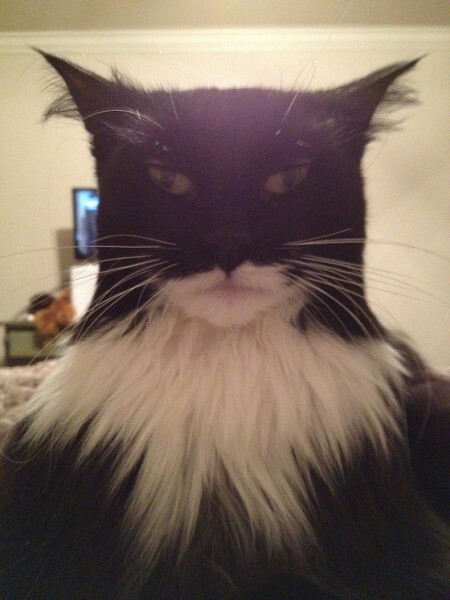 This cat looks like batman.